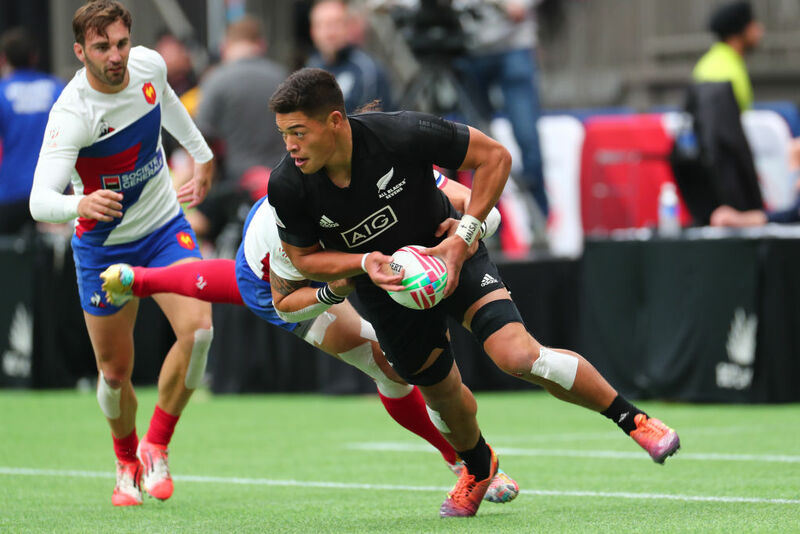 New Zealand's All Black Sevens have suffered their first loss to Spain at the Canada Sevens tournament. The men's sevens side were defeated 26-24 thanks to a surprise post-fulltime hooter try by the Spaniards, whom New Zealand beat 19-7 last week. New Zealand started the clash strong, with Joe Ravouvou scoring the first try in just the first few minutes. But as the game played on, Spain fought back to close half time two points ahead of the Kiwis. A yellow card to Sam Dickson set New Zealand back at the start of the second half, as Spain capitalised to storm ahead with a strong 21-12 lead. Ravouvou then looked to spark a New Zealand comeback as the match approached its final minutes and a stunning try from Dickson looked to secure the win. But the Spanish side didn't give up and a shock play led by Pol Pla pushed Spain back into the lead to stun New Zealand on the final hooter. The shock loss was a stark contrast to New Zealand's earlier 45-7 dismantling of France, who had beaten Australia 21-17.